Almost Spring: cottonseed and freesia. Light and florally. Angels Wings: rose, jasmine and hawthorne enhanced by french vanilla, musk and wood. Powdery and light. Blueberry Muffin: just like, well, a blueberry muffin! By the Fire (Old Flame): violet, jasmine cinnamon clove and thyme with sandalwood, patchouli and vanilla reminds you of those toasty Winter nights by the fire. Caramel Custard: a rich, creamy scent of delicious caramel, mixed with vanilla. Caramel Popcorn: smells just like it! Cranberry Mandy: a fruity combination of cranberry and mandarin. Frosted Berry: sweet berry sorbet, with hints of violet. Grandma’s Garden: lemon and lavender. La-La Land: an enticing scent of crisp spearmint and clean eucalyptus. Lemon Delicious: lemony, coco-nutty goodness. 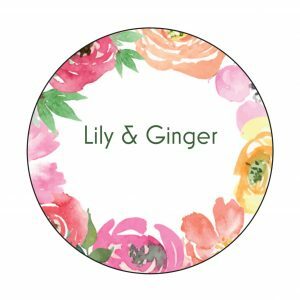 Lily & Ginger: the clean fragrance of ginger, with the sweetness of lily flower. Miss Rosey: beautiful rose scented. Orange Blossom: orange and vanilla. Peary Fairy: a mix of pear, vanilla, jasmine and sandalwood. Very light. Pina Colada: coconut and citrus scented. Sandy Feet: sweet fruit notes of mandarin, peach, apricot, and cranberry. Reminds you of late afternoons on the beach. Spice It Up: sandalwood and patchouli create a base for clove bud and cardamom. Warm and inviting. Strawberry Sundae: a creamy light fragrance of strawberries and vanilla. Sugarplum Fairy: apple peel, peach nectar, fresh picked berries, pear, pineapple. Cinnamon bark, clove, caramel, coconut, rosewater, violet and eucalyptus with a base of vanilla, tonka wood and musk – light but sweet. Summer Lovin’: coconut and lime. Sweet Pea: fresh and florally, with a hint of vanilla. Teddy Bears’ Picnic: patchouli, vanilla with sandalwood, jasmine, and concord grape and top notes of bergamot and grapefruit create this lightly warm scent. Vanilla Cheesecake: a soft vanilla. Washing Day: clean washing and fabric softener all mixed in with sunshine and a warm breeze.